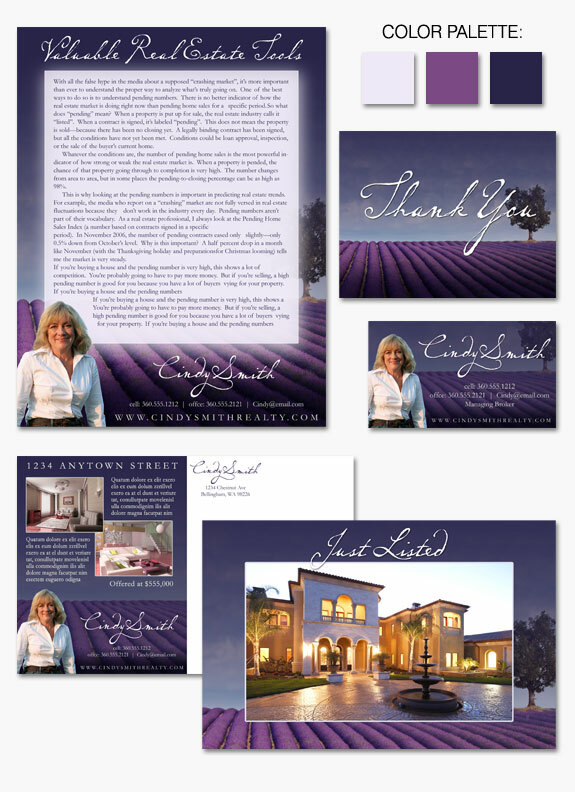 In today’s Zebra Report we are highlighting one of our favorite Instant Identity designs: “Lavender Fields”. With just a glance it is very apparent where this design gets its name! Informal and natural in feel, this design is dominated by a beautiful landscape of lavender fields accented by a lone tree. This beautiful photo lends an open air and artistic feel to this nature-scaped branding design. Finished off with an elegant, textured script font this design is a perfect canvas for both personal and property marketing. « The Other Agent: Ally or Adversary?